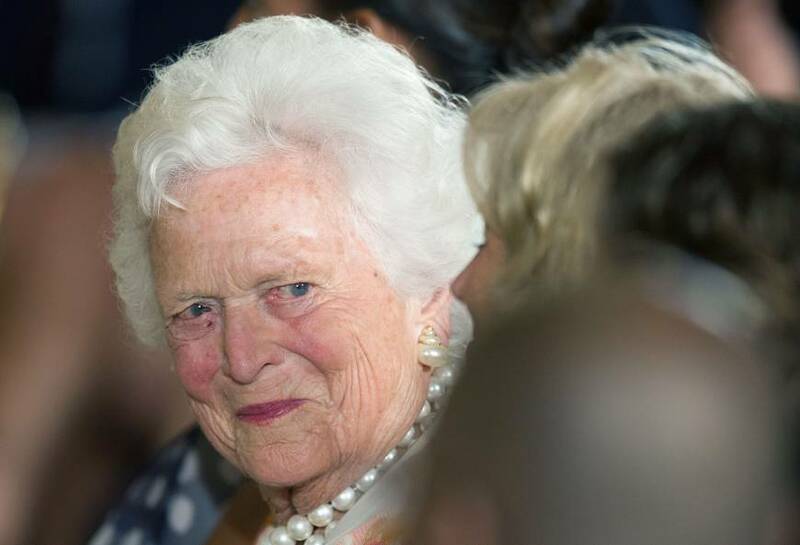 HOUSTON - Former U.S. first lady Barbara Bush is in “failing health” and won’t seek additional medical treatment, a Bush family spokesman said. 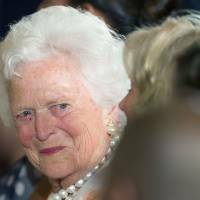 “Following a recent series of hospitalizations, and after consulting her family and doctors, Bush, now aged 92, has decided not to seek additional medical treatment and will instead focus on comfort care,” spokesman Jim McGrath said Sunday in a news release. McGrath did not elaborate on the nature of her health problems. She has been treated for decades for Graves’ disease, which is a thyroid condition, had heart surgery in 2009 for a severe narrowing of her main heart valve and was hospitalized a year before that for surgery on a perforated ulcer. Her 93-year-old husband, the nation’s 41st president who served from 1989 to 1993, also has had health issues in recent years. In April 2017 he was hospitalized in Houston for two weeks for a mild case of pneumonia and chronic bronchitis. He was hospitalized months earlier, also for pneumonia. He has a form of Parkinson’s disease and uses a motorized scooter or a wheelchair for mobility. Before becoming president, he served as a congressman, CIA director and President Ronald Reagan’s deputy. Along with her memoirs, she’s the author of “C. Fred’s Story” and “Millie’s Book,” based on the lives of her dogs. Proceeds from the books benefited adult and family literacy programs. The Barbara Bush Foundation for Family Literacy began during her White House years with the goal of improving the lives of disadvantaged Americans by boosting literacy among parents and their children. The foundation partners with local programs and had awarded more than $40 million as of 2014 to create or expand more than 1,500 literacy programs nationwide.